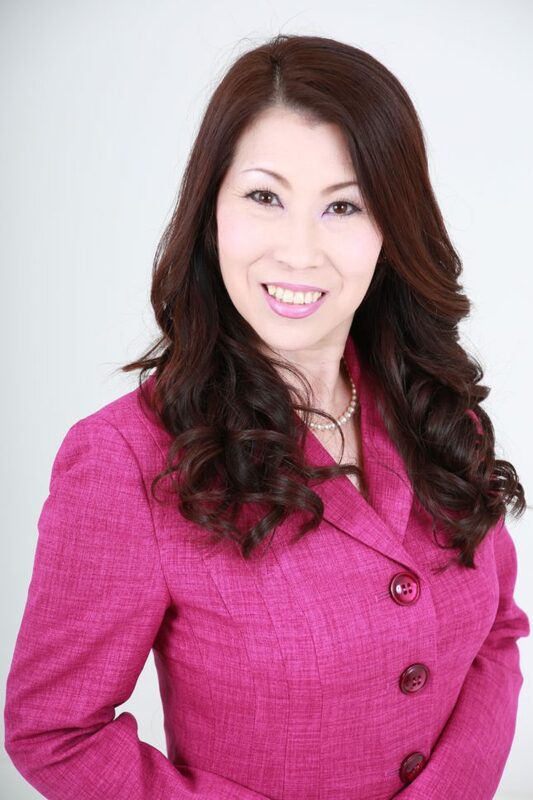 Yuko Ichioka is a professional gospel singer, inspirational speaker, and author. She lives in Amagasaki city near Osaka, Japan, where her father—the late Hachiro Oka—was one of Japan’s most beloved comedians. Yuko has given more than 700 performances in Japan, Taiwan, Thailand, and the United States, including appearances on TV and radio. A popular choir director, Yuko also teaches gospel music to choirs in Japan and Thailand. Yuko graduated from the Santa Fe Community College in Florida, U.S.A. Her love for gospel music inspired her to enroll in the Brooklyn/Queens Conservatory of Music in New York. Yuko was an early member of the Harlem Japanese Gospel Choir (Harlem JP) and was featured in a profile printed in The New York Times. In 2001, Yuko was a member of the prestigious　McDonald’s Gospelfest Choir, which performed traveling concerts with Cissy Houston, mother of the legendary Whitney Houston. In 2003, Yuko co-authored a book with her father, who was a recovering alcoholic. The book, I’ll Make You Laugh As Much As I’ve Cried, is an inspirational story about love, loss, hope, and survival. Ever since Yuko’s first visit to Thailand, the country’s children touched her heart. Since 2008, she has given dozens of concerts to support four orphanages in Chiang Mai. She also donates all proceeds from her gospel CD, Amazing Grace.